Singer Blake Shelton has sent a heartfelt message to the friends of three West Brookfield, Massachusetts teenagers recently killed in a car crash. One of country music's biggest stars is comforting a Massachusetts school mourning the deaths of three students. 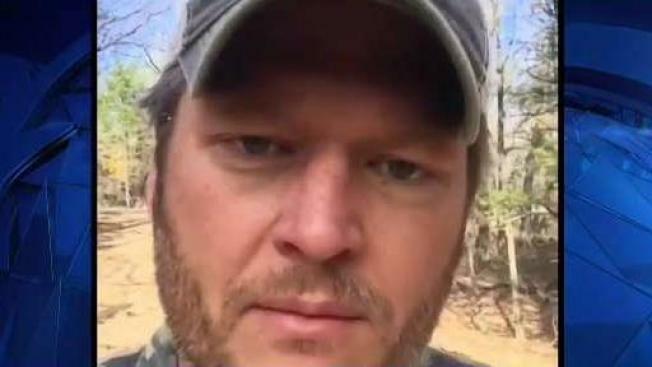 Blake Shelton recorded a minute-long message that was included in a longer tribute video to the Quaboag Regional Middle/High School students who died in a Nov. 6 car crash in West Brookfield. Shelton's brother died in a crash nearly three decades ago. Shelton said in the message: "I can understand how you guys feel. It's the worst possible feeling. It's confusion. It's anger. It's just an overall brokenness that's just gonna take a lot of time to heal." Shelton learned of the deaths through his mother, who grew up with the father of a member of Quaboag's school committee. The crash took the lives of 14-year-old Jaclyn Desrosiers, 15-year-old Christian Congelos and the driver, 16-year-old Lena Noonan.